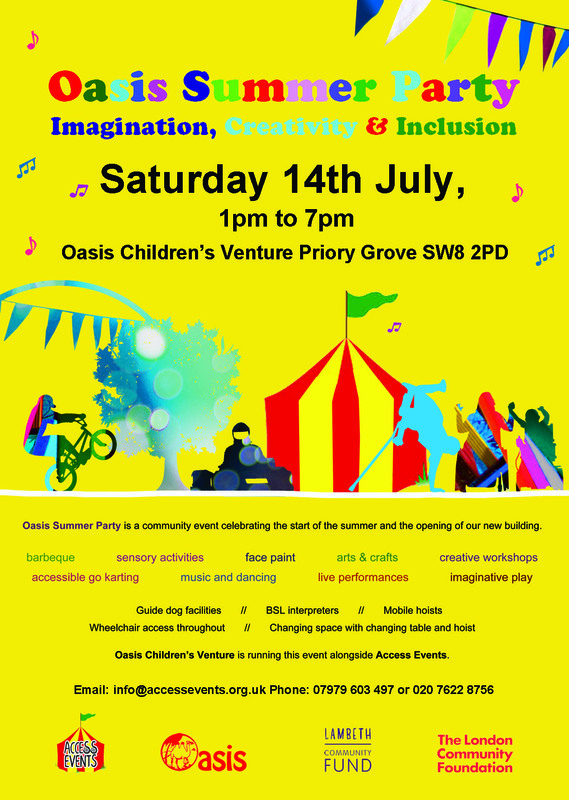 On Saturday 14th July Access Events will join forces with Oasis Children’s Venture to put on the Oasis Summer Party, an inclusive community event in Stockwell, south London. Watch this space for line-up announcements! This is a free event. To discuss specific access requirements or other event queries, please contact Access Events. Oasis Children’s Venture is an inclusive children’s play service operating in Stockwell for nearly 40 years. They run a cycle adventure playground, nature garden and go kart track.